Gerard began his career as a social housing professional in the early 1990s in the Netherlands, and switched to academia in 2006. In 2003 Gerard completed his MSc in Organizational Strategies with a study on the governance and strategic business processes of Dutch housing associations. In March 2016 he completed his PhD on the role of housing associations in the governance of neighbourhood regeneration. Since 2006, Gerard has worked as a coordinator of the ENHR Working Group: Social Housing Institutions, Organisations and Governance. Gerard still combines housing research with housing practice. In 2010 he joined the supervisory board of mid-sized housing association Parteon (16.000 units), working just North of Amsterdam. Since early 2016 he is chairman of the board. 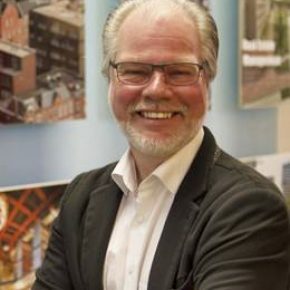 From April 2012 Gerard also chaired the Audit Board for Flemish Housing Associations in Belgium, and is involved in the performance assessments of Dutch housing associations. Gerard has contributed to the Sustainable Building Adaptation MOOC.